at the end of the road you turn right (where is the KARCHER shop) you will find us after 50 metres. By Public Bus X96 (RECOMMENDED): This is the most economic way. 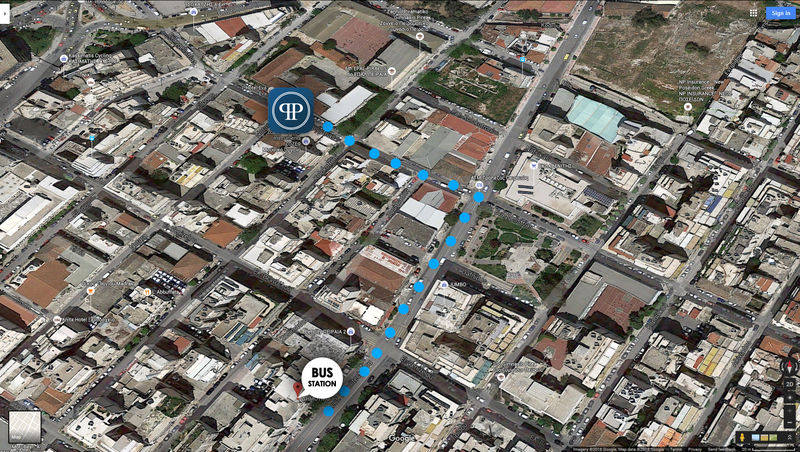 Bus X96 covers directly the route from Athens airport to Piraeus. 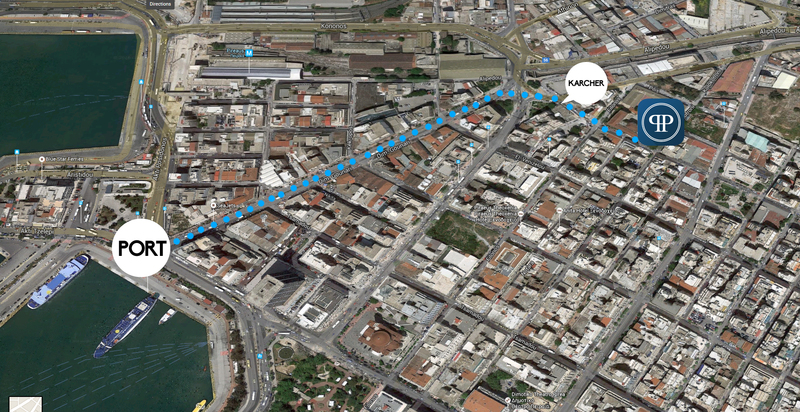 When you get off the bus go right and at the second corner turn left (at Evaggelistrias Str.). Take this street and you’ll meet the Hotel. and change at MONASTIRAKI station to take the green line, which has its terminal just outside the port of Piraeus. The first metro train from the airport leaves at 06:33 am and the last at 22:33 pm. There are trains all day long, every half an hour (at 03′ and 33′). The whole ride will take about 1 hour and 20 minutes to 1 hour and 30 minutes. When you get off the train, exit the station from the left side. You turn left and straight ahead you’ll find an OUTLET store in the corner. Then you turn right (NAVARINOU str). You go straight ahead,when you meet the traffic lights turn left (DIM.GOUNARI str), continue straight at the end of the road you turn right (where is the KARCHER shop) you will find us after 50 metres. When you get off the train, exit the station from the left side. You turn left and straight ahead you’ll find an OUTLET store in the corner.